The Cadillac ELR is dead. No, that’s not a battery joke. It’s going out of production and never coming back, kids. For a car (controversially) advertised as “creating its own luck” and believing “anything is possible,” a Cadillac electric coupe is apparently not successful or lucky enough to last more than two years. I’m all for going back to the moon, Cadillac ad bro, but keep in mind the first time we went it was after the Russians had already done everything else in space there was to do at that point and we needed a desperate “win.” And yea, we probably will return to the moon, albeit with the intentions of mining the orbiting rock of raw materials because we’ve exhausted everything we could reach on Earth. It’s that same mentality of “sustainability” that forced encouraged Cadillac to even attempt an electric vehicle to start with—not to be enterprising or innovative for the sake of it, but because at the time that’s where the market was headed and they didn’t want to get behind other luxury marques. In that original ELR ad, the rich man is leaving his family and his million dollar home to go on a two week trip (in August!) in a car that was Cadillac’s two year trip into a market it isn’t prepared for or interested in, single-handedly killing the prospect of fully-electric Cadillacs anytime soon. 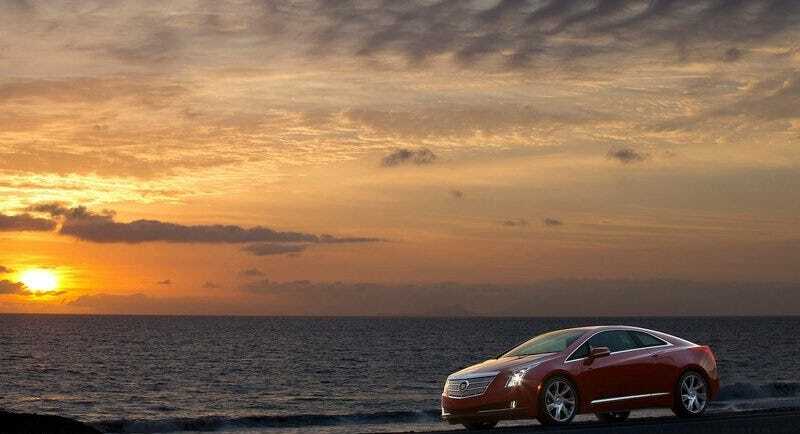 The Cadillac ELR was more than just one bad advertisement. It was a compromised car that was too ahead of itself, and too disconnected from the market—you could get a Tesla Model S for the same price, which was all-around just a better car. Dealerships didn’t want to bank roll the new infrastructure for the electric vehicle, and buyers didn’t want a glorified Chevy Volt with less practicality for more than double the price. So RIP to Scion, and RIP to the Cadillac ELR. You both tried there at the end, but it was too late. We hardly knew you because your sales were horrible and nobody wanted you.